Antique Three Stone Diamond Engagement Ring. Edwardian 18ct Gold, Platinum Diamond Trilogy Ring. Old Mine Cut Diamond Ring, 0.50ctw. 1920s Art Deco Diamond & Sapphire Crossover/Bypass Ring. 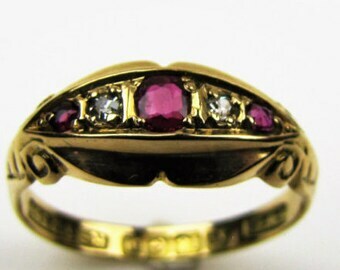 Antique 18ct Gold French Cut Sapphire Ring. English 3 Stone Engagement Ring. Vintage 9K 9 Carat Gold Pearl Screw Back Earrings. Genuine Cultured 6mm Saltwater Pearls, Goldsmiths Jewellers Box. Bridal Wedding Formal. A beautiful antique 18ct yellow gold 'knife edge' engagement ring dating to around 1910. The ring features a fine quality 1/2 carat old mine cut diamond. The knife edge is a classic antique ring style that is bang on trend at present, it is designed to 'float" the diamond in a minimal setting giving light and life to the stone. This ring displays a low profile from the side with the deep knife edge shoulders rising to reach the top of the stone. When viewed from above the minimalist setting directs all the attention to the star of the show, the exquisite bright white diamond that is gloriously eye clean for we see no inclusions. The stone is held aloft in a regal eight claw rex or crown design mount. Despite its dainty simplicity this is a solid and sturdy ring and the design ensures long lasting wearability and durability with the diamond fully protected within the setting. MEASUREMENTS: Ring size 4-3/4 (US) J (UK) 48-3/8 (EU) with sizing available for an additional fee. The ring is 4.85mm deep measured from the back of the stone to the front. The shoulders measured face on are 2.38mm wide which tapers to 1.73mm. CONDITION: Excellent, this ring has been very well cared for with only the gentlest signs of wear and age as to be expected. Any dark marks are camera shadow. Will arrive in our antique style heirloom ring box as shown. The ring boxes are manufactured in England. They are hand finished with gold tooling and are high quality, perfect for proposal and safekeeping! 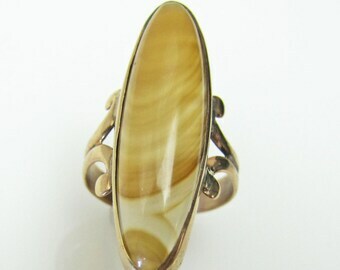 Browse more exceptional fine and costume jewelry from every era - Georgian - Victorian - Edwardian - Art Deco - Modern - at mercymadge.etsy.com - With new arrivals added to our shop daily we offer an interest free layaway plan as well as a no risk guarantee. Our standard shipping includes tracking and signature confirmation for your peace of mind. 1920s Art Deco Diamond Engagement Ring. 14K White Gold Filigree Halo Ring. 0.61ct Old Cut, Side Melee Diamonds, With Valuation Report. Antique 18K Gold Diamond Ring, English Edwardian Wedding Band Ring, Diamond Gypsy Gold Stacking Ring, Vintage Romantic Wedding Chester 1911. RESERVED CAROLINE LAYAWAY. Natural White Zircon Solitaire Engagement Ring, 2 Carat Brilliant Cut. 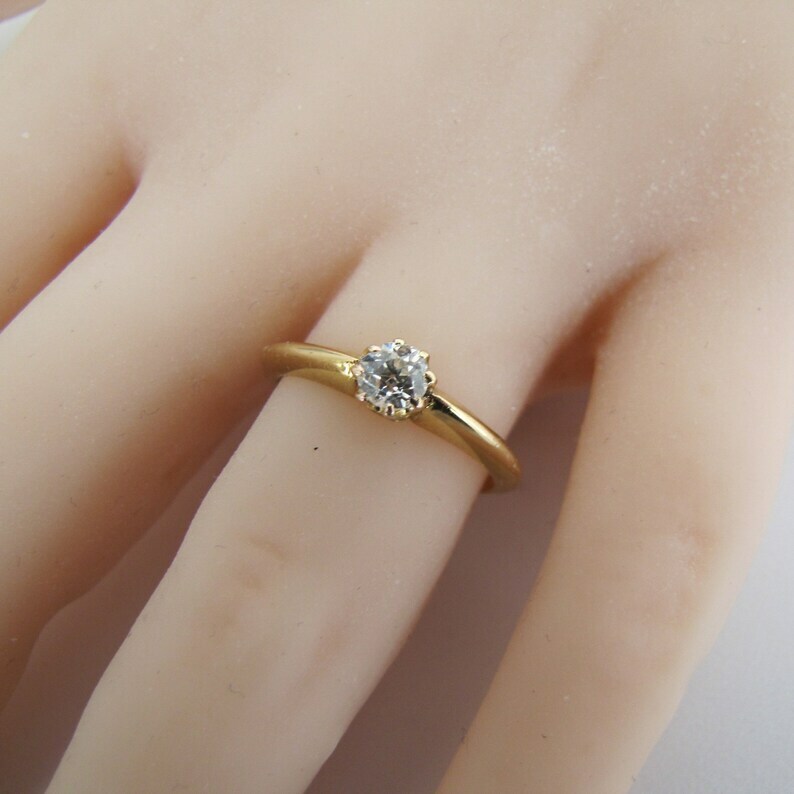 Vintage English 9ct Gold Engagement Ring.